Bulletproof coffee is a true delight for many coffee lovers out there. While you can get an amazing cup of Bulletproof coffee from your regular blender, getting the best blender for Bulletproof coffee can certainly enhance your coffee-drinking experience. One of the recommended blenders for delicious Bulletproof coffee is the Blendtech blender. The Blendtech is the most powerful blender in our overview of recommendations, so despite the fact this blender costs a little more than the others we will mention today, this is certainly a big reason why you should choose Blendtech over all else. The Blendtech blender is not just the most powerful blender in this overview. It also comes with a bunch of convenient features, which provides you with a lot of blending options; this includes the preprogrammed operations such as ice crush, smoothies, ice cream, and even hot soup. Another major benefit of the Blendtech Blender is its unique container. The container of this blender is a flat design on all four sides; this makes it considerably easier to clean the container after making your Bulletproof coffee. Aside from Blendtech, Vitamix is another famous blender commonly associated with Bulletproof coffee. The Vitamix blender has some features that are remarkably similar to those of the Blendtech. However, consumers choose the Vitamix over the Blendtech if they require the most luxurious options. 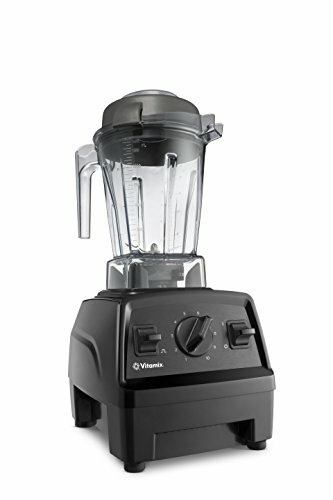 The Vitamix is one of the best-known blender brands and has been around for quite some time. In fact, the first Vitamix was sold under the name “Vita-Mix” as early as 1937. The most popular blender from this brand would be released in 2007; this is when the company invented the Vitamix 5000 series. Any blender from this series is recommended for Bulletproof coffee. There are loads of benefits associated with the Vitamix blender, however, we must mention that it is not as powerful as the Blendtech. That being said, it is the second most powerful blender for Bulletproof coffee. One of the additional benefits of the Vitamix blender is that it comes with manual control settings as well as automatic settings. For consumers who prefer to have a little more control over their blends, this is a much welcome feature. Another major benefit of the Vitamix is its lengthy warranty. The brand has full trust in the construction of its blenders, so they are confident to provide their customers with a longer warranty compared to other blenders. If durability and longevity is most important to you, then the Vitamix blender could become your preferred option for Bulletproof coffee. Finally, the Vitamix also comes with a precision variable timer option; this option is used when you want to create your preferred texture for Bulletproof coffee or any other beverage you have in mind. A Magimix Le Blender sounds a little European, and that is exactly what it is. If you want to try one of the blenders that is popular among European consumers, this one should be on the top of your list. Not only is it an alternative for well-known brands such as Vitamix and Blendtech, it also comes with some features you may not encounter on Vitamix and Blendtech. 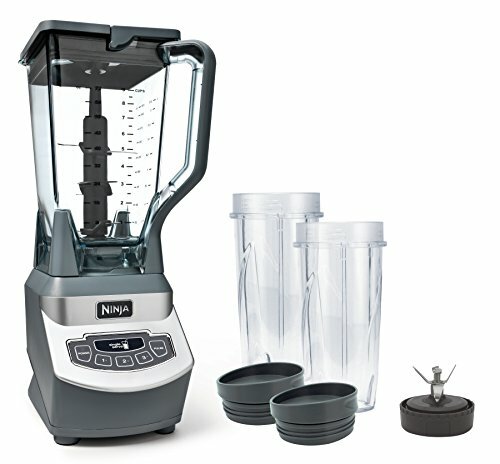 Like the previously mentioned blender, the Magimix comes with manual control settings, allowing you more control over your blend and its texture. It is also a strong blender, providing 1200 Watt in power and 1.6 horse power. This makes it an ideal choice for making bulletproof coffee. One of the additional benefits of the Magimix is its glass jar. Most blenders nowadays have a jar made from fortified plastic. While this is not necessarily a problem, it can cause the plastic to discolor over time, especially when you use a plethora of colorful ingredients. Of course, glass does come with a disadvantage, since it can be a lot heavier than the plastic options out there. Still, if this does not bother you, then the Magimix will be a good and durable option. Buying a good blender can be challenging if you are on a budget. Fortunately, there are some good mid-range blenders you can take advantage of. These mid-range blenders can provide you with a bunch of useful features, while keeping the cost of the blender down. One of the mid-range blenders you should certainly take a look at is the Ninja Professional Blender. The Ninja Professional Blender can be a lot more affordable than the Vitamix, Blendtech, and Magimix, but still comes with a powerful motor and a bunch of additional features. The Ninja Professional Blender comes with touchpad button control settings, so if you are not that experienced at making your Bulletproof coffee, these programmable buttons can make things a lot easier. It also comes with a relatively large container, so if you are making up a large batch, you do not have to clean out the container continuously to get your desired amount. Since the Ninja Professional Blender is cheaper than some of the other blenders mentioned today, the blender can have some disadvantages. One of the disadvantages is the small feeder cap. If you want to add some extras to your blend, the small feeder cap can make things a little more difficult. Fortunately, you won’t be adding too many extras to bulletproof coffee. The final problem with the Ninja Professional Blender is its shorter warranty. Blenders such as Vitamix and the Blendtech provide its customers with a lengthy warranty period; this is not the case for the Ninja Professional Blender. That being said, because this blender is much more affordable, a lot of consumers do not mind the shorter warranty. Another affordable option for your Bulletproof coffee is the Hamilton Beach Elite. While this blender is a lot less powerful than the Blendtech, it is extremely affordable and still comes with a bunch of features that may prove useful to you. One of the benefits of the Hamilton Beach Elite is its 12 program settings. Program settings are extremely convenient for those who want to make a batch of Bulletproof coffee quickly. 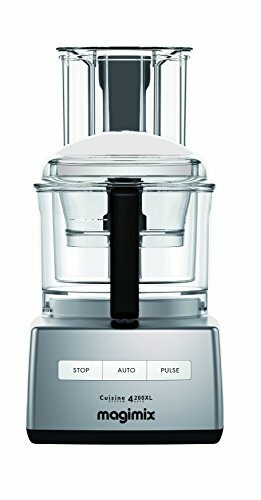 So, in addition to its affordable price, the program settings certainly make this blender an attractive choice. 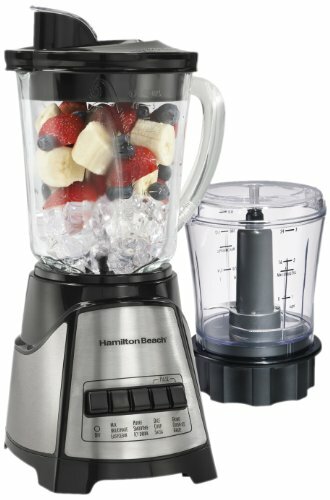 Despite its more affordable price, the Hamilton Beach Elite does come with a glass jar. Once again, this reduces the chance of ingredient discoloration and can increase the lifespan of your blender. While it may be a little heavier than the plastic options, it certainly adds to a blender’s durability. Of course, there are some downsides to the Hamilton Beach Elite. One of its disadvantages is its power. While it can still provide a good blend, it only has 700 Watt at its disposal. Therefore, if some serious power is required for your favorite blend, it may be best to look at some of the other options available. Bulletproof coffee is a special blend of coffee. It consists of unsalted butter and medium-chain triglyceride coconut oil, delivering a beverage suitable for those who are on a low carbohydrate diet. The special blend provides consumers with benefits such as reduced hunger and increased fat burning. It is popular among athletes, but also among consumers who are looking to lose weight. What Do I Need To Remember When Making Bulletproof Coffee? To make the best Bulletproof coffee from the convenience of your own home, it is certainly recommended to familiarize yourself with blenders and blending techniques. While there is a lot to learn, here are some of the essentials you must know. Before you choose your blender, always check out the two main categories available and determine which is most suitable for you. In general, you can choose between the immersion blender and the countertop blender. The immersion blender is a manual blender that enables you to blend in the container itself. However, most people will choose the motorized countertop blender, as this is more convenient despite the maintenance it requires. Choosing the right blender also means ensuring your blender can deal with hot liquids. While all blenders should have this ability, not all of them do. In fact, a famous blender known as the NutriBullet is known to have problems with hot liquids. So, always check for blenders like the ones we mentioned above. Another reason why you should consider your blender carefully is the warranty. 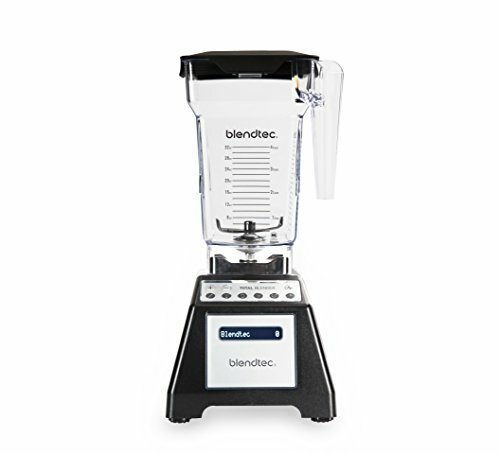 Today, we have mentioned blenders with both a long and a short warranty period. Naturally, if you intend to have your Bulletproof coffee daily, one of the blenders with the longer warranty will be the best option. When you blend Bulletproof coffee, always remember that the two main requirements for a good cup is a combination of power and speed. Through power and speed, the oils, butter and coffee will blend beautifully. However, if power and speed are not present, it could influence the consistency and the texture of your blend. Do I Need To Refrigerate Bulletproof Coffee After I Made It? Consumers are not obligated to refrigerate Bulletproof coffee. However, the manufacturer has stated that the beverage is best enjoyed chilled. So, if you do decide to put it in the fridge, you will undoubtedly get a lovely beverage from it. Can I Drink Bulletproof Coffee Every Day? Bulletproof coffee is suitable for daily consumption. It is recommended to consume Bulletproof coffee at breakfast, as it can be used as a nutritious meal replacement. In fact, the entire blend is designed to be drunk on an empty stomach. Even if you have not had breakfast, the blend of caffeine and fats inside the blend will provide you with energy and stamina. There are several benefits associated with Bulletproof coffee. Its unique blend is designed to increase your focus, decrease any hunger and cravings, and burn fat. Because of these specific benefits, Bulletproof coffee is quite popular among those who want to lose weight. Why Is Butter In Coffee Beneficial? Butter in coffee is not a new thing, since researchers have found putting butter in coffee provides you with countless benefits. Despite the relatively poor reputation butter has received on its own, when combined with certain compounds, butter can prove good for your health. When you put butter in coffee, the healthy fats inside that butter will influence the release of caffeine. If you drink a regular cup of coffee, the caffeine gets released rather quickly, leaving you with a caffeine dip and fatigue fast. However, healthy fats will slow down the release of caffeine, leaving you more alert for longer. There is some evidence that butter inside coffee could also help with your overall digestion. When healthy fats are combined with techniques such as intermittent fasting, the liver and gut bacteria start to create more FIAF (Fasting-Induced Adipose Factors). FIAF can block the storage of enzymes; this means your body will burn fat instead of holding on to it. So, a decrease in body weight and more effective digestion is certainly one of the benefits associated with butter in the coffee. Why Choose Bulletproof Coffee In Your Diet? There are lots of reasons why you should incorporate Bulletproof coffee and get a good blender to match. A lot of people on the so-called Keto diet reap the benefits of this sort of coffee. It is also a popular choice for anyone interested in weight loss overall. There are also a lot of athletes who use Bulletproof coffee to increase their stamina. Of course, Bulletproof coffee should always be combined with a healthy and balanced diet. It is never the intention to solely base your diet on Bulletproof coffee, even though it does contain a nice amount of nutrients. If you require some additional advice on your diet or weight loss as a whole, always speak to your GP. You could also speak to a nutritionist or another licensed medical professional to incorporate Bulletproof coffee in your diet and maintain a healthy lifestyle.